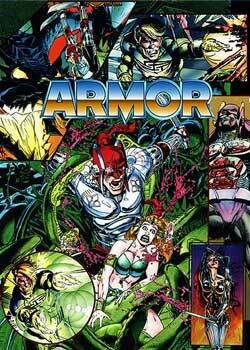 ARMOR- Space Pirates capture and enslave an earth teenager, a future warrior king. An alien space fleet attacks a small town in Canada. The few battling survivors are carried off into space to be trained as slaves. Jack Keaton, dubbed Armor by his masters, is trained to be a warrior on the highest possible level. A 10. 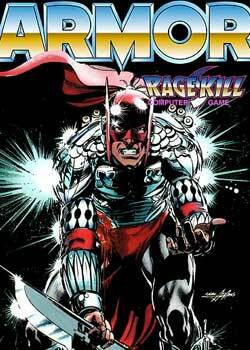 Armor and his brother Jacques, AKA Silver-Streak, do the impossible. They sabotage the intergalactic pirate fleet, disable most of the ships, and enable the captured slaves to escape. The master of the pirates, Rage, has decided to forgo his profit, and kill Armor himself, with his bare hands. The battle between Armor and Rage is classic.